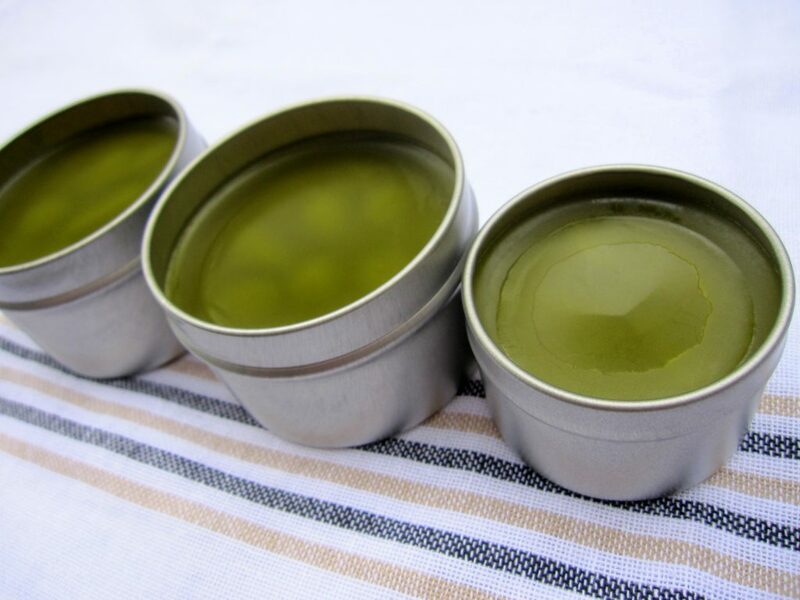 Homesteaders, gardeners, or anyone else with rough dry hands will love these homemade hand salves. Make your own herb infused oils with burdock, plantain, and yarrow for these recipes. 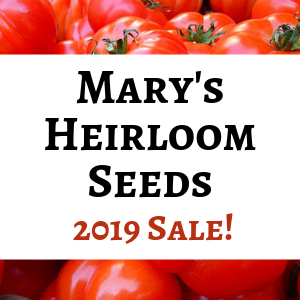 The wild plants are common and may even be growing in your yard or garden. They are free for the foraging and each has healing properties for our skin. Use essential oils for additional healing qualities, if you have them on hand. Each recipe makes enough hand salve to soften your own skin and to give some to a friend or 3. Use dehydrated burdock, plantain, and/or yarrow to infuse coconut oil. You’ll need to warm the coconut oil with the dried plant material to extract their healing properties. (I give complete instructions in my post How to Make Herb Infused Oils for Skin Care.) Once the oil is ready, strain through a sieve lined with a paper towel or cheese cloth. Press to recover more of the oil. Makes a bit less than one cup, depending on how well you press the oil from the plants. 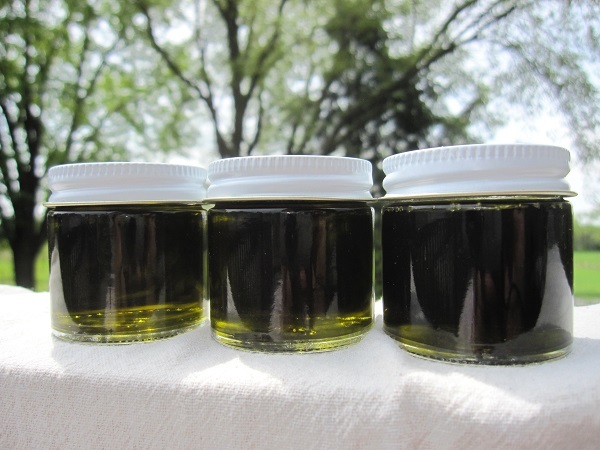 While the oil is still liquid, you may add the vitamin E and essential oils, stir, and pour into tins or jars. Try the essential oils listed in the recipe below, or select others as desired. As the coconut oil cools, it will harden, making a wonderful salve for your hands. Note: Make sure you have correctly identified plants before using in any recipe. Foraging activities carry a certain amount of risk and you should use a reliable wild plant guide. Test plants on a small area of skin to see if you have an allergic reaction. This information is not intended to replace professional medical advice. Use wild plants at your own risk. The finished hand salve will be green from the healing herbs infused into the oil. Fill bottom of double boiler with about 2″ of water and put top pan over this. Place double boiler on burner and turn on low. Measure beeswax and cocoa butter or shea butter into top pan and melt. Turn heat off, but leave pan on burner. Add herb infused oil and vitamin E oil, stir. Beeswax may coagulate when cold oil is added. If it doesn’t melt after several minutes, turn burner back to low and stir until wax is melted. 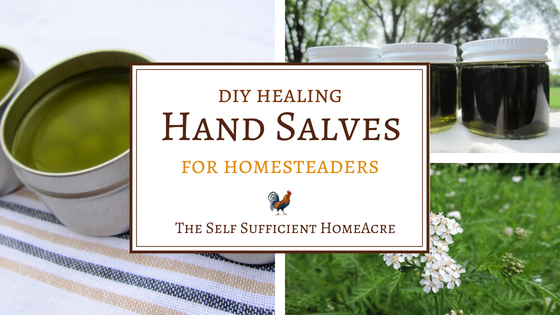 Jars of hand salve make healing gifts for gardeners, homesteaders, and anyone who has rough dry hands. The essential oils used are appropriate for anyone. If you would like to customize your salve, try using other essential oils with the scent and properties you desire. 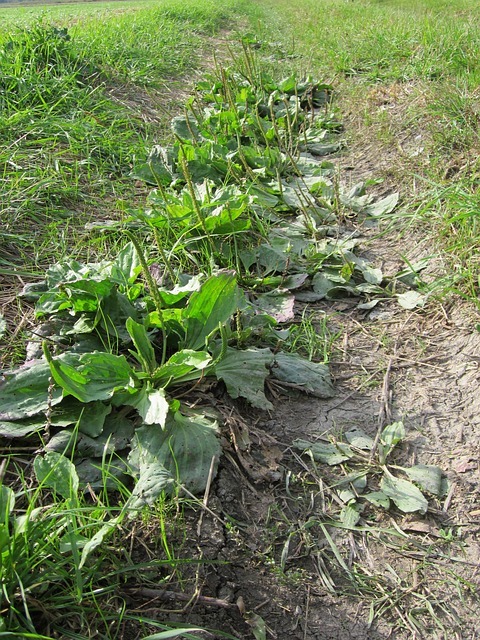 Common plantain helps heal scrapes and small cuts. I work in the garden, forage, and homestead. Needless to say, my hands take a lot of abuse. All spring I’ve been thinking about making some healing salve to treat my sore, scratched up skin. Now that the burdock, plantain, and yarrow are growing like, well, weeds I have the raw materials to create these hand salves to save my skin. Since I finished the salve the other day, I’ve been rubbing it into my hands after I wash dishes, scrub up after working in the garden or barn, or before I go to bed at night. The salve is gentle enough to use on my face, neck, and elbows…or anywhere that my skin is in need of healing or extra moisturizing. Because of the oils in these salves, you won’t want to rub into your hands just before sitting down to work on the computer or clean your glasses (ahem). This is for seriously dry skin that needs all the help it can get…I could tell the difference after one use! Do you make your own hand salve? What are your favorite ingredients? Leave a comment! Which part of the Burdock plant please and where might I buy oregano oil? I’ve heard of it before as a preservative but could only find essential oil. I’m new to your newsletter and website. You can use any part of the burdock plant, it is edible. I used the leaves for the salve. You can purchase oregano oil online. I hope this helps.